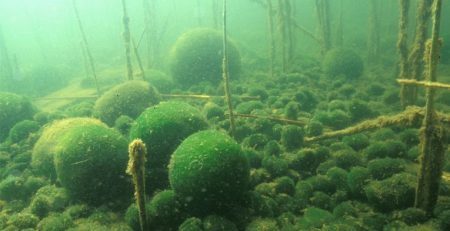 Despite the “moss balls” moniker, Aegagropila linnaei is actually a unique form of water-borne algae which is well suited for plant enthusiasts of all levels of experience. 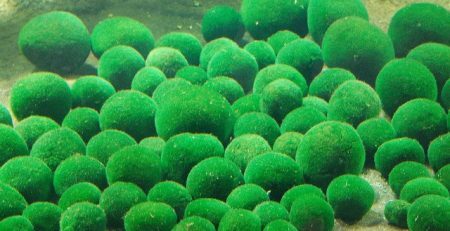 In addition to their unusually fuzzy, bouncy shape, Marimo are not very demanding in terms of temperature and water requirements, and can even provide filter-like benefits to fish globes and aquariums. 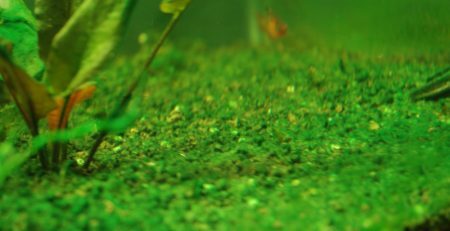 Famous for their free-will floating and sinking, they function as an excellent chemical free ally in the fight against fish tank clouding. 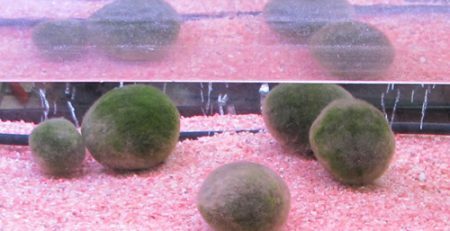 When changing the water, you can help your Marimo maintain their elegant figures by lightly rinsing them off and gently tapping in the fuzzier edges. If you wish, you can also turn them over in their container from time to time. 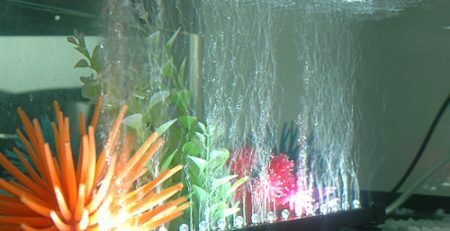 This will simulate the sort of tidal effects they typically encounter in the wild, which keep them smooth and round. 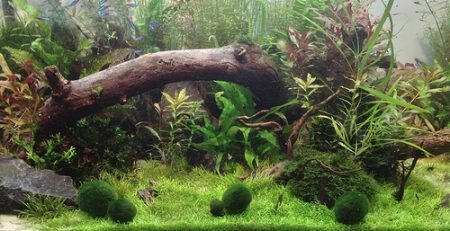 Because Aegagropila linnaei is algae, you can keep them in fish globes and aquariums with other creatures without ill effect. 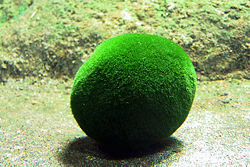 In fact, Marimo typically will out-compete other forms of algae for nutrients, helping keep your tank water clear! 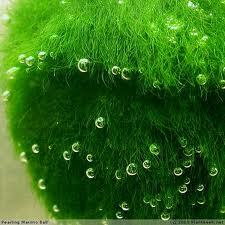 You can encourage the growth of your Marimo by keeping them in club soda water rather than tap water. 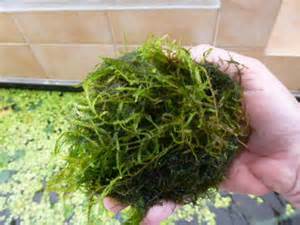 The carbon dioxide will encourage the algae to grow larger. 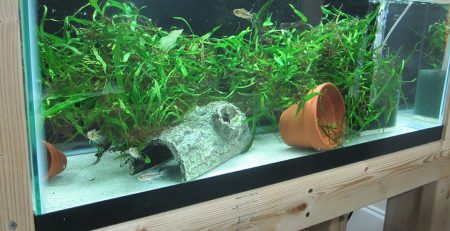 Do not keep other plants or animals in the same container if you do this—they will not survive!